Sample Summer Schedules for Kids. How to have a routine and still have a summer. A big question people have when summer comes around is “what should our summer schedule look like?” You can see how I plan my summer schedule here. 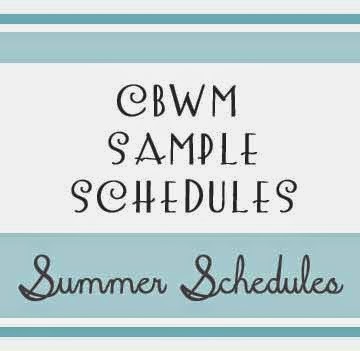 Here are some samples of our summer schedules we have had over the years. One note, before my children were in school, our summer schedule really was no different than our spring, winter, or fall schedules. I am sure this was in large part due to the fact that Brayden was not a terribly flexible baby or toddler. We had our disruptions, but our main schedule was the same. 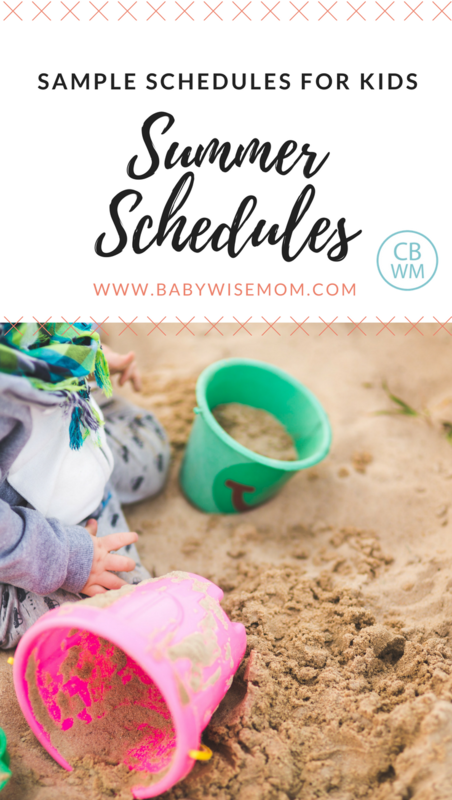 I didn’t really start creating a summer schedule until Brayden started school and our summers became something that could be distinguished from other times of the year. Another note, for a baby, I do not change the daily schedule in summer significantly. I worked my older children’s summer schedule around the baby’s schedule. I had them do nap and rest time while the baby did nap. I had them eat meals when the baby was used to eating meals (or around the baby’s meals if needed). So as you plan your summer schedule, note when naps are and when meals are. Plan meals and rest/nap time for everyone else around those times. Also plan Independent Play around those times if needed. Then you can plan out the schedule for the family and work the rest of baby’s things in around what the family is doing. There are some things I want to point out. I view summer as a more flexible time of year. I always remember that my schedule is to serve me and my family. If we are on a walk and we take longer than 30 minutes, I don’t stress about it. 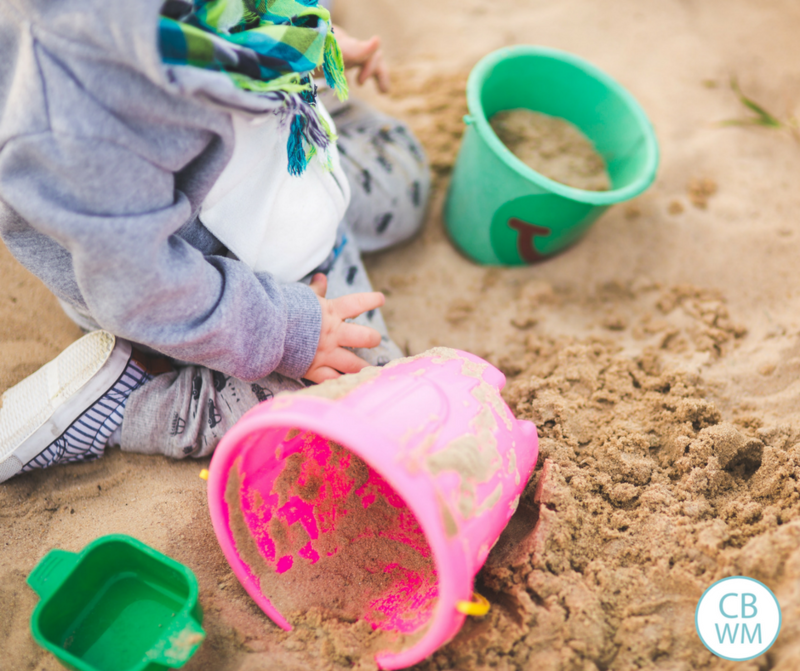 If we are having a lot of fun with the learning activity and it takes over free play, I don’t mind (that is one reason I put free play there–so we could borrow from it if needed). If I don’t have anything ready for learning time, free play becomes an hour instead of 30 minutes. On the other hand, if the children don’t get their chores done in time to go on a walk that day, it doesn’t happen. It is a logical consequence. Don’t live and die by the schedule. Have a game plan, but be flexible as needed. Do remember, respect sleep times and meal times as much as possible. Doing so goes a long way for helping your child be flexible. 7:00 AM–Wake up. Get ready for day. Share your summer schedule in the comments! I will add them to this post for people to reference in the future. These schedules are very helpful! I'd love to see other also. I feel like on weekends it's just a free for all with our 16 month old twins (this is year round since I work full time). I've been thinking I need to add more structure to the day in addition to the regular meal time, nap time and bedtime!